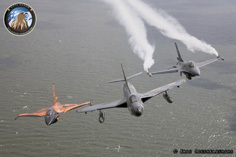 In 2011 the Belgian Air Force celebrated its 65th anniversary with one of the biggest airshows ever organised in Belgium, at the coastal base of Koksijde. Around 70.000 enjoyed the two-day event where they could enjoy an 8 hour flying show. 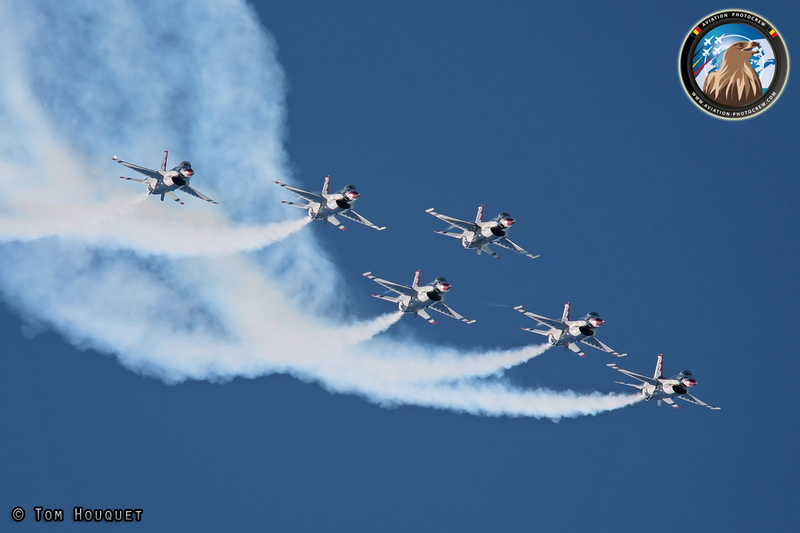 Definitely one of the highlights were the visit of the USAF display team, the Thunderbirds, who chose Koksijde as one of the shows during their European tour. 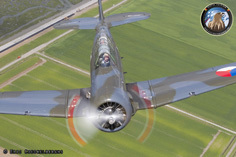 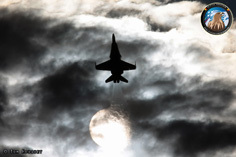 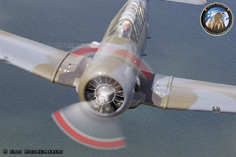 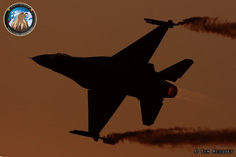 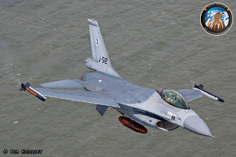 The show attracted almost 200 aircraft to the Koksijde airbase, ranging from historical aircraft to the latest fighter jets. 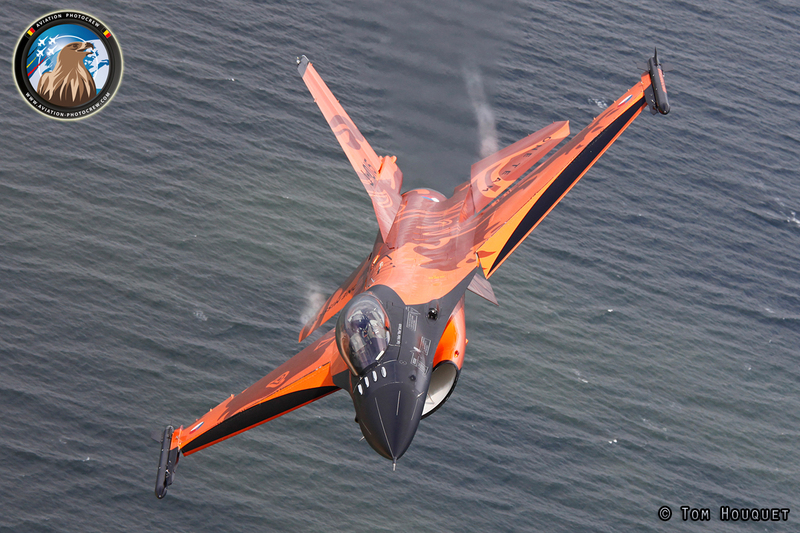 On the days before and after the airshow we were able to perform some unique photoshoots of some of the aircraft who were flying to or from the airshow. 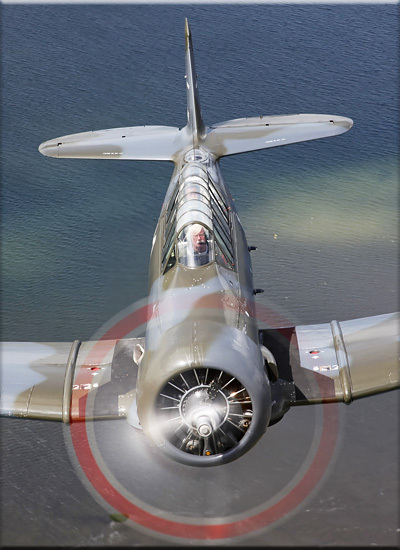 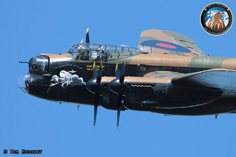 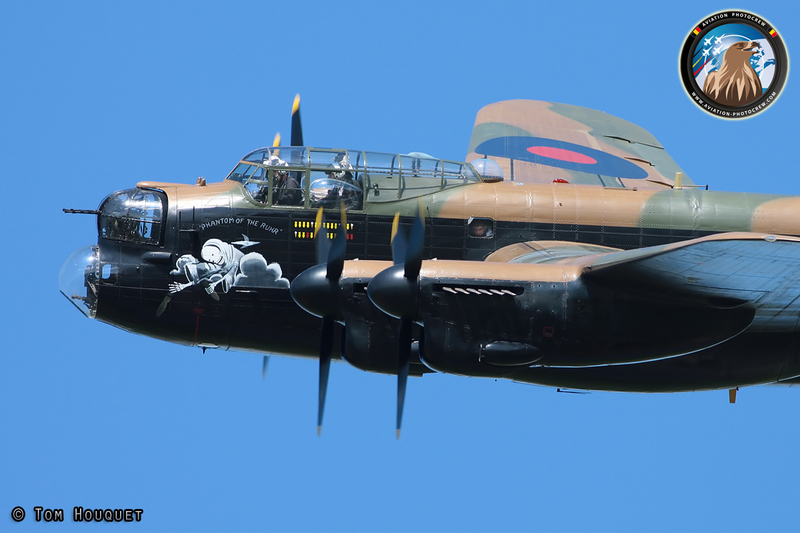 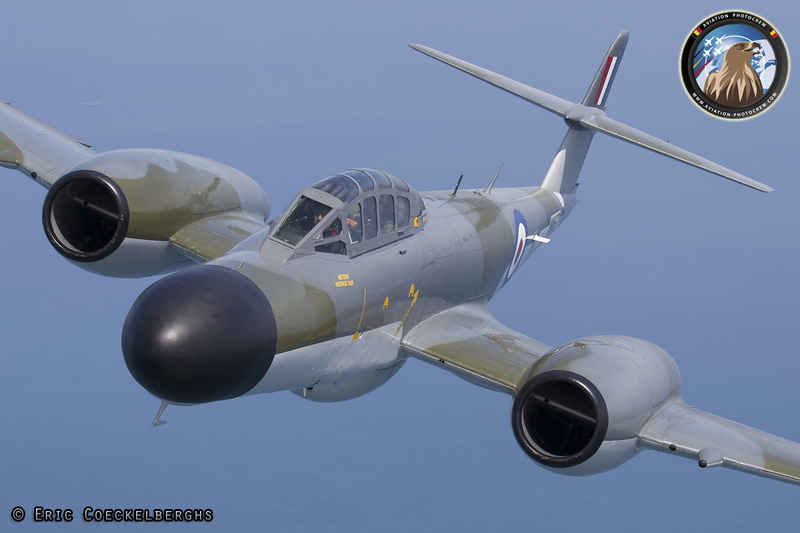 The weather in the beginning of July was fantastic which resulted in a nice variety of photographs of which a lot of pictures were used in our new book Aviation Photography! 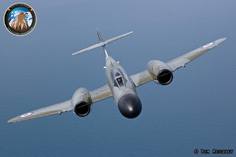 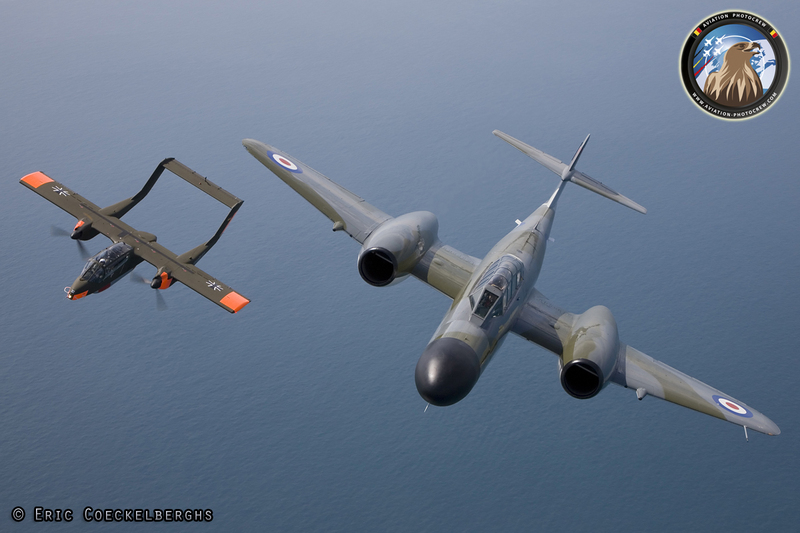 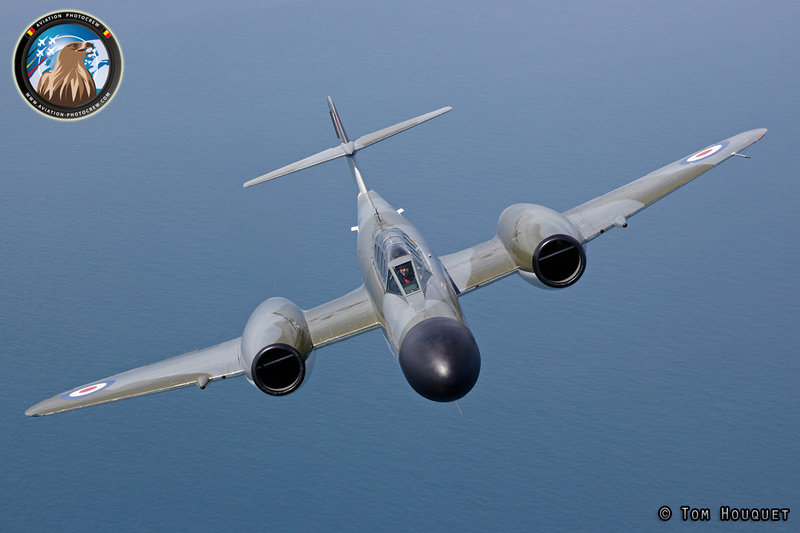 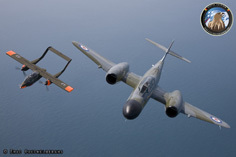 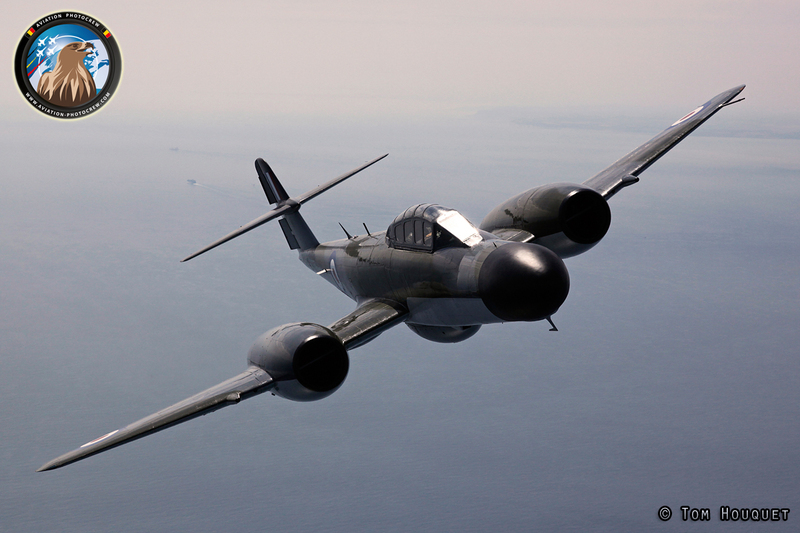 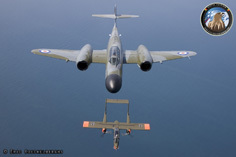 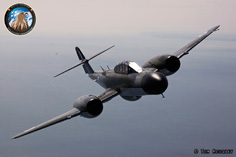 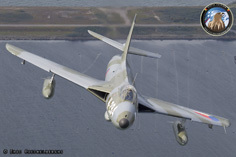 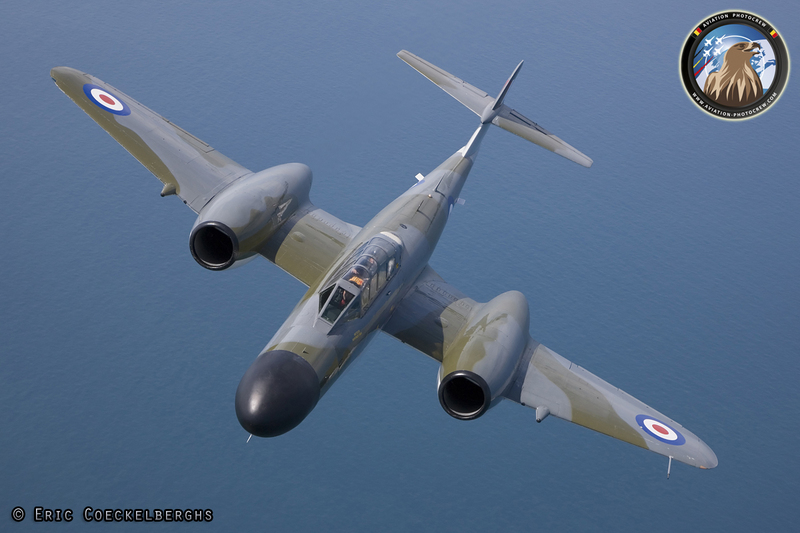 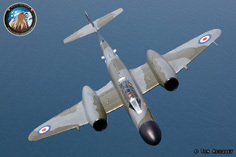 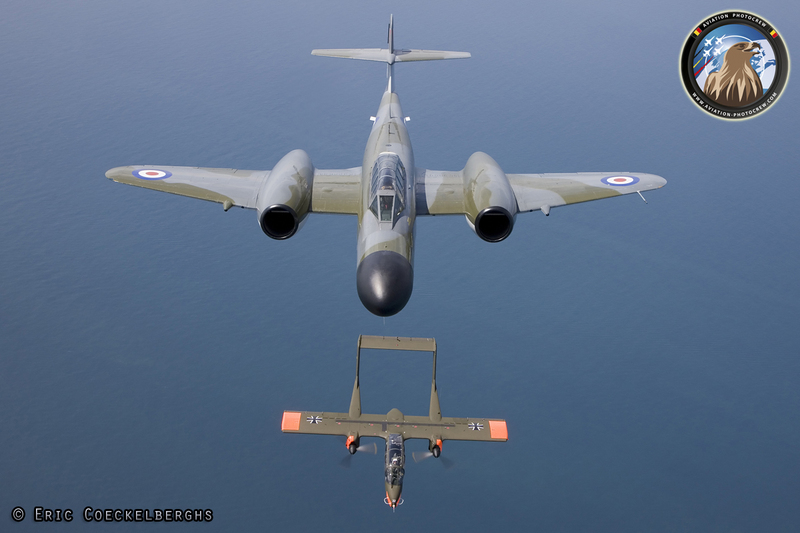 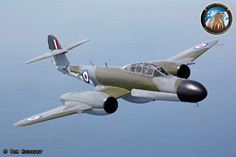 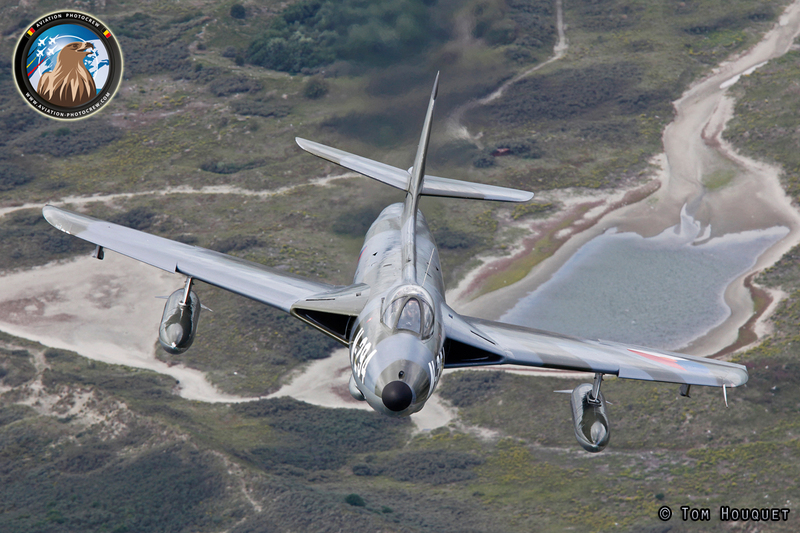 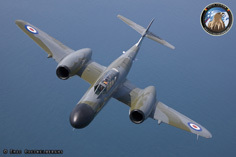 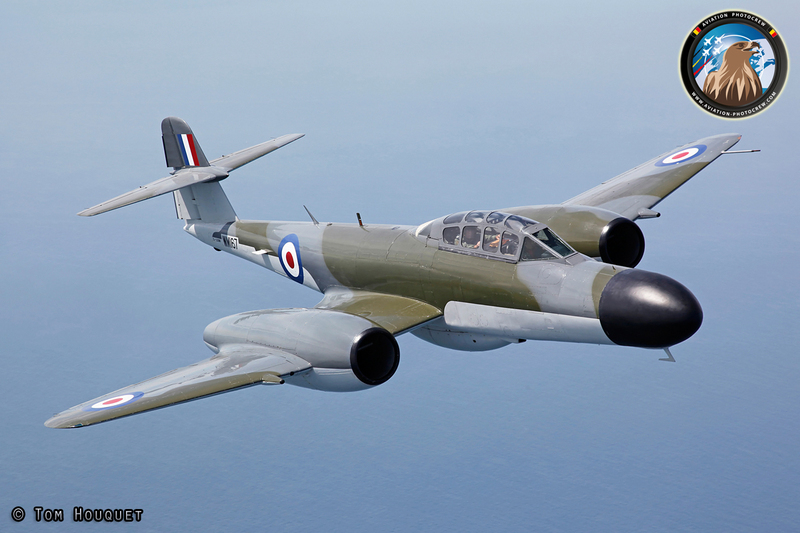 One of the photoshoots we did was the Glouster Meteor NF.11, who flew over to Koksijde for the theme of 65 years BAF. 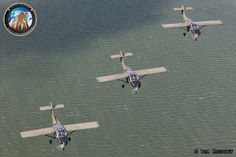 Piloted by Dan Griffith he joined up with Tony De Bruyn flying the OV-10B Bronco and arrived as a unique formation at the show. The graceful lines of the classic jet really came out nice as Dan showed us all sides of his aircraft. 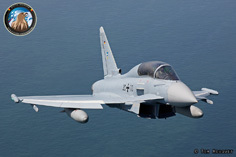 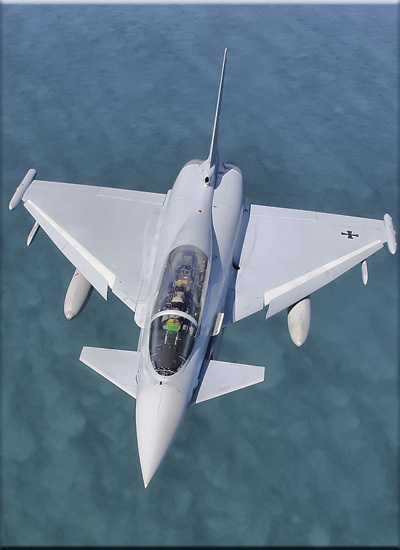 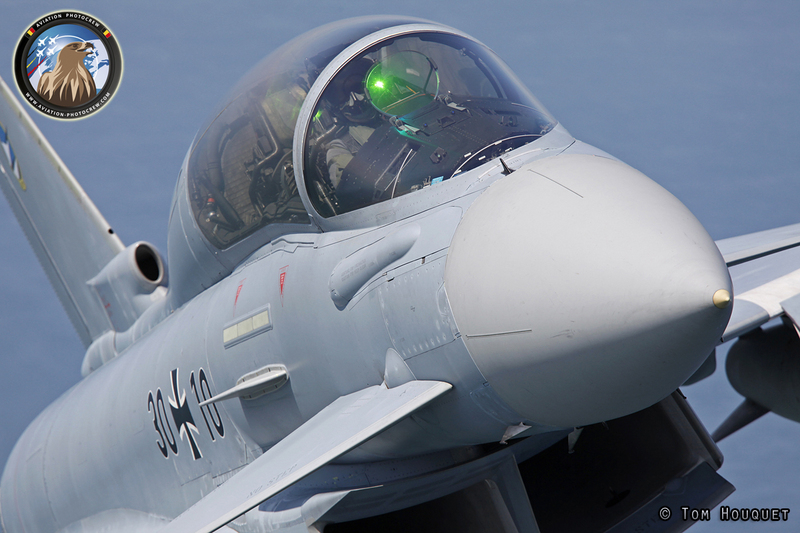 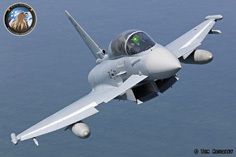 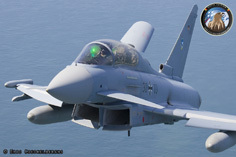 After the classic jet it was time for a modern jet, the German Eurofighter EF2000. 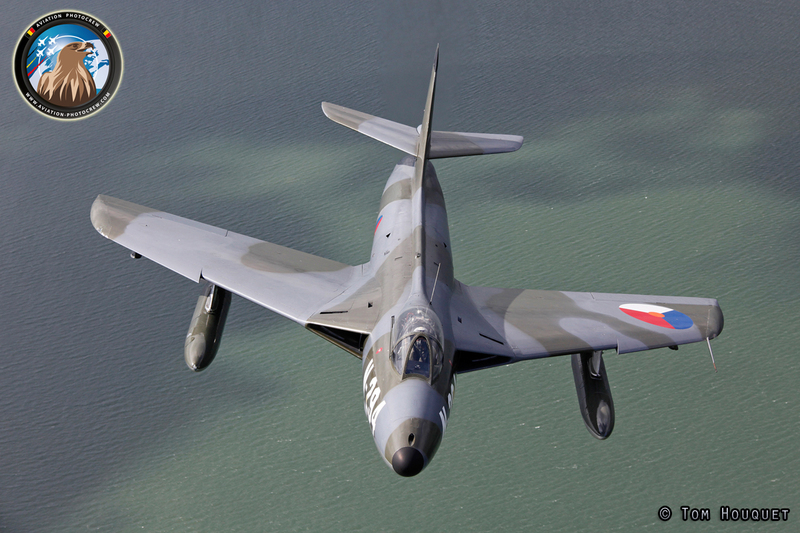 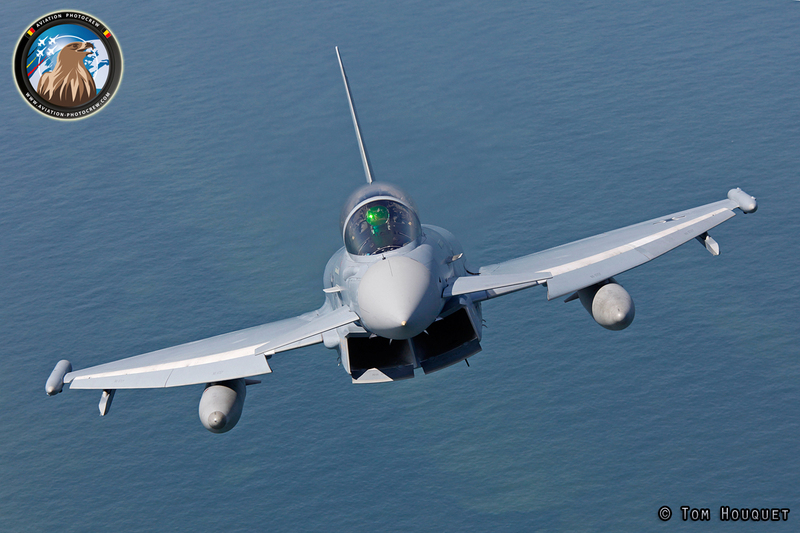 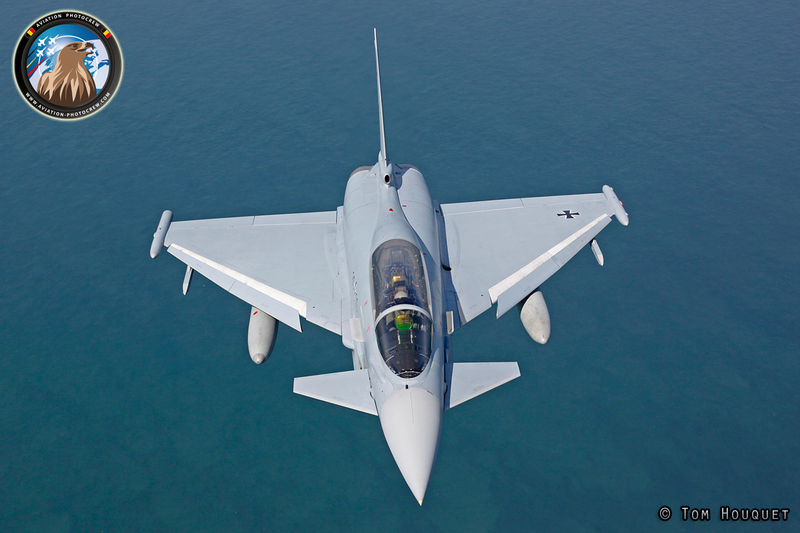 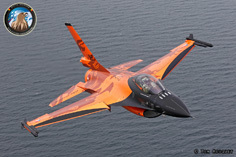 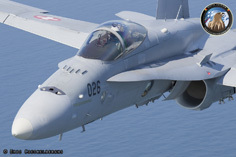 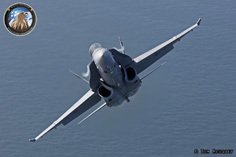 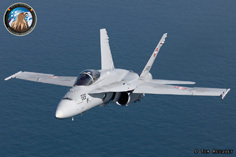 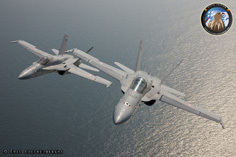 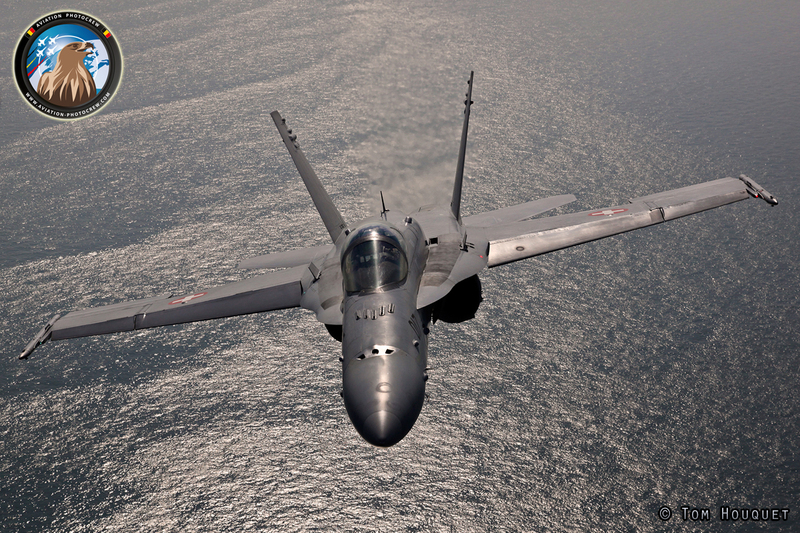 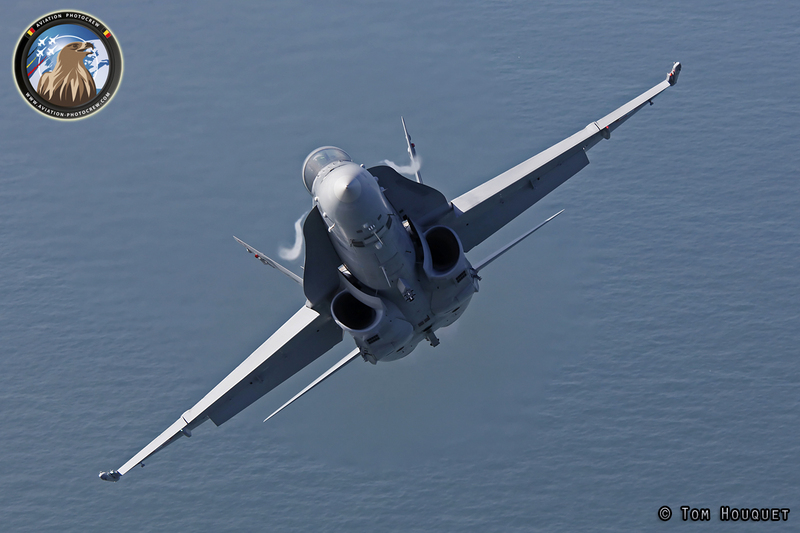 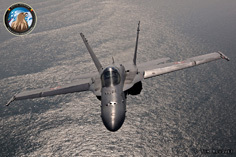 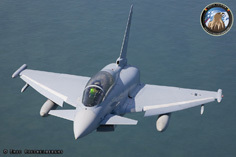 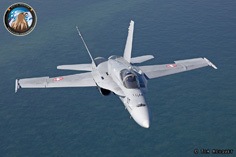 The high-tech fighter aircraft had been long on our wish list to photograph air-to-air. 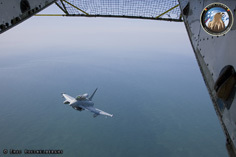 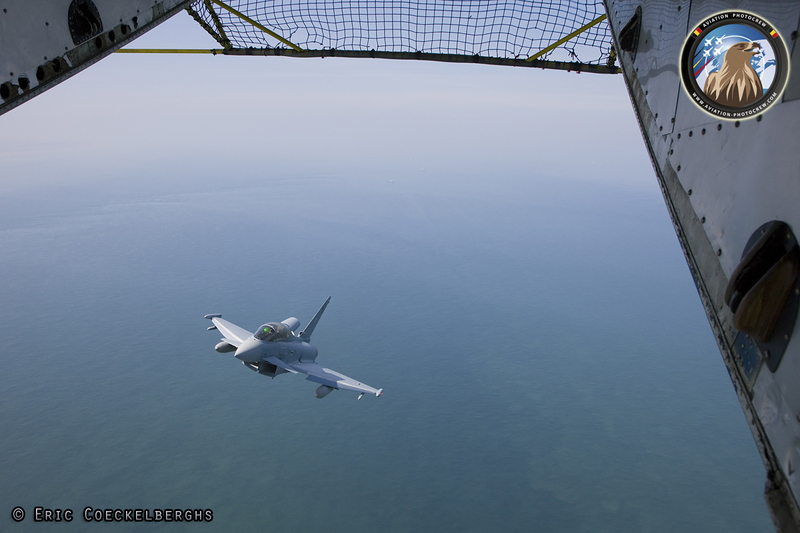 It was a awesome sight to see the Eurofighter fly behind our Skyvan photoship. 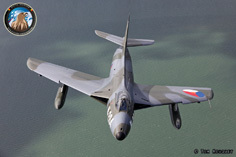 You could clearly see the adjustments made by the flight computer to all the leading edge slats, engine inlet guide vanes and canard wings keeping the aircraft very stable. 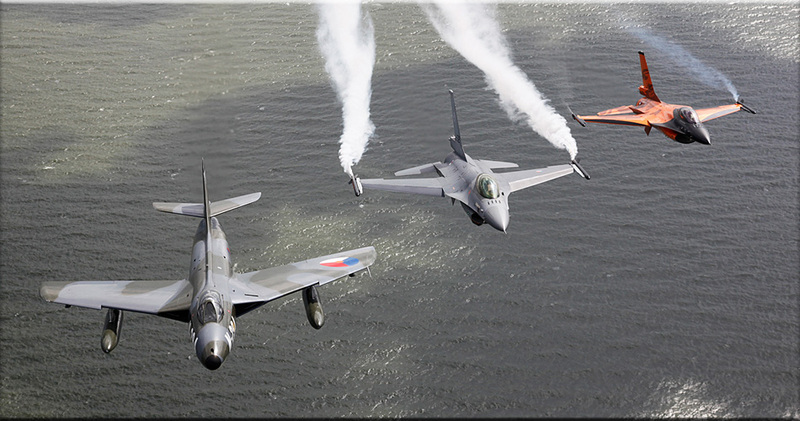 The pilot positioned his aircraft nicely over the North Sea and even engaged the airbrake on occasions. 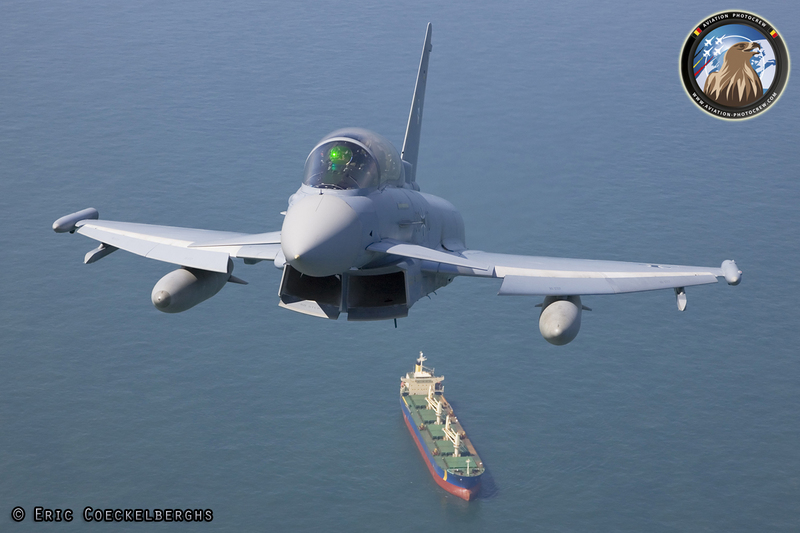 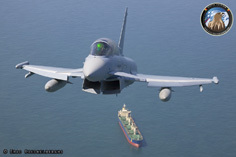 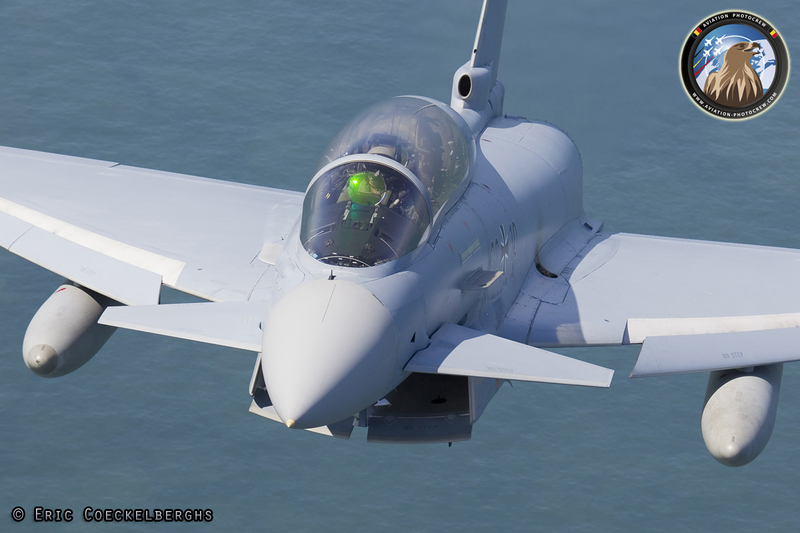 After the photoshoot the pilot demonstrated the extreme acceleration power of the Eurofighter by pushing the throttles forward and fly further to Koksijde airbase. 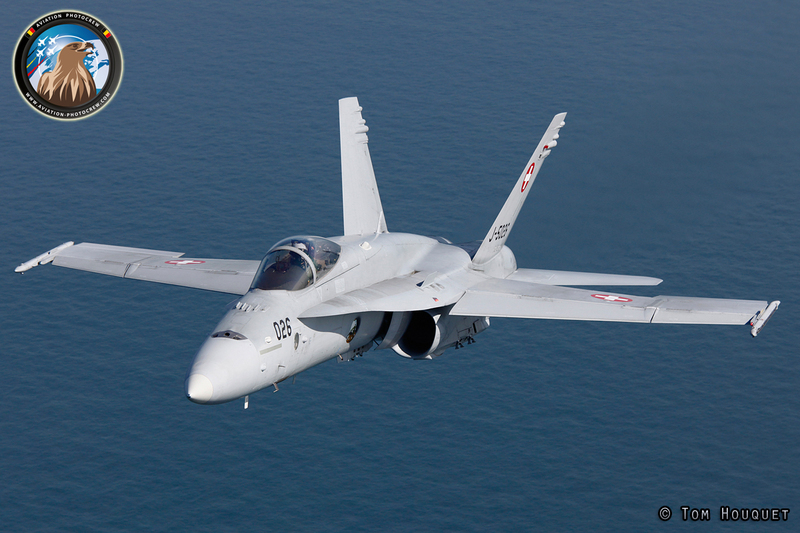 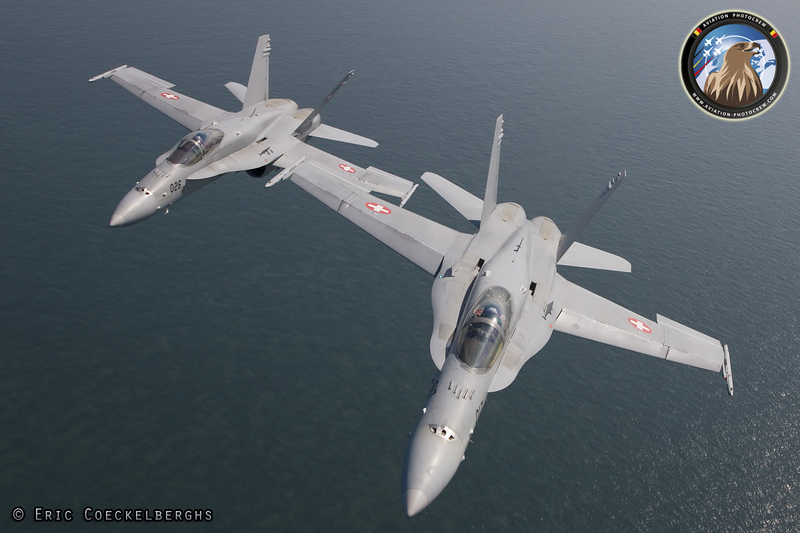 The Swiss Air Force F-18C solo display is one of the most dynamic fighter demonstrations in the world, and it was great news when we heard they were coming to the Koksijde Airshow. 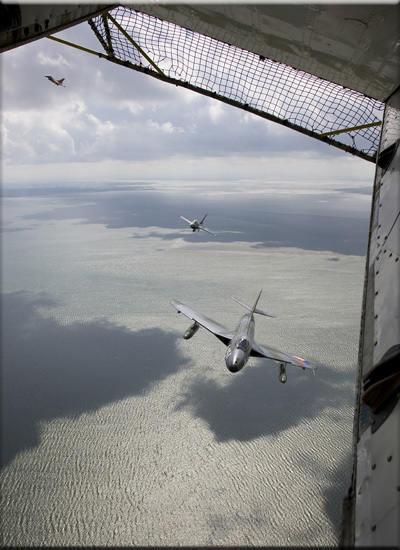 On the ferryflight towards Koksijde we were treated with the sight of the two Hornets flying a close formation behind the Skyvan photoship. 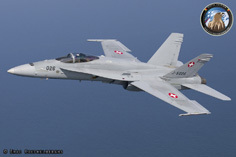 It was a unique photoshoot as these aircraft have the Swiss alps as their natural habitat, so seeing them over the North Sea was quite unique. After the formation photoshoot, a solo Hornet showed us some nice things, even with an afterburner pull-up while braking away to fly to Koksijde. 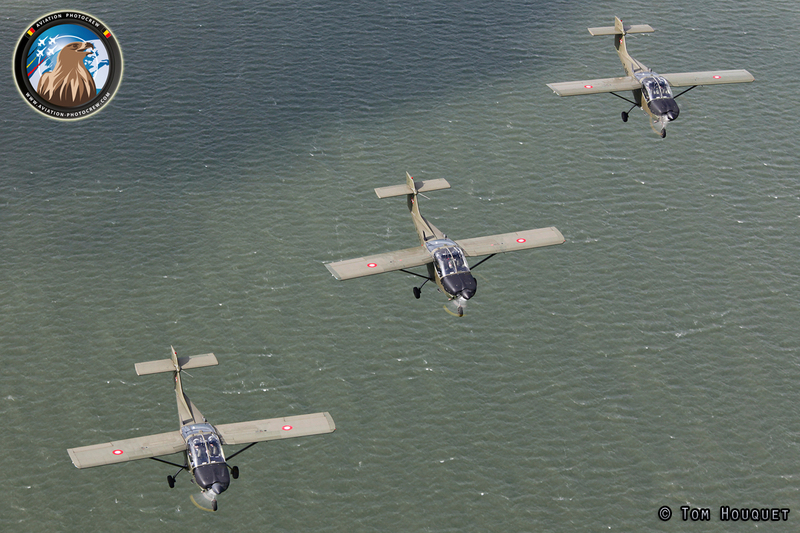 One of the less known formation teams in Europe is the Danish Air Force Baby Blue team, flying the Saab T-17 trainer. 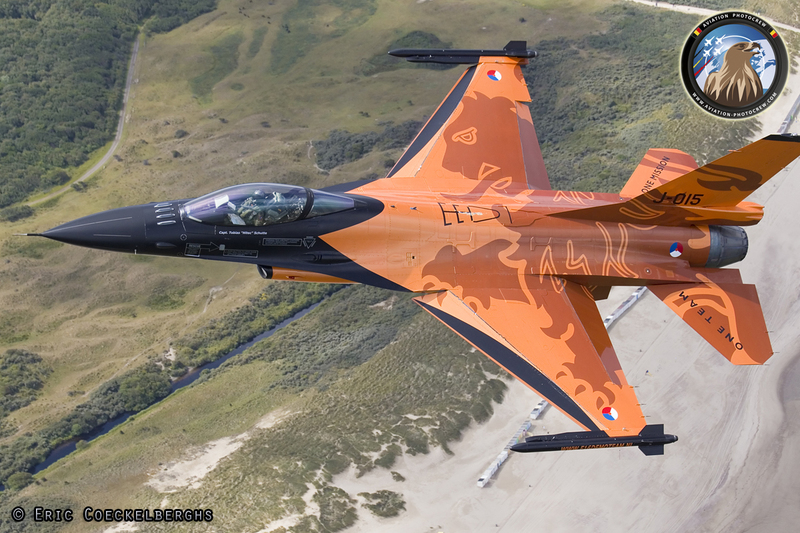 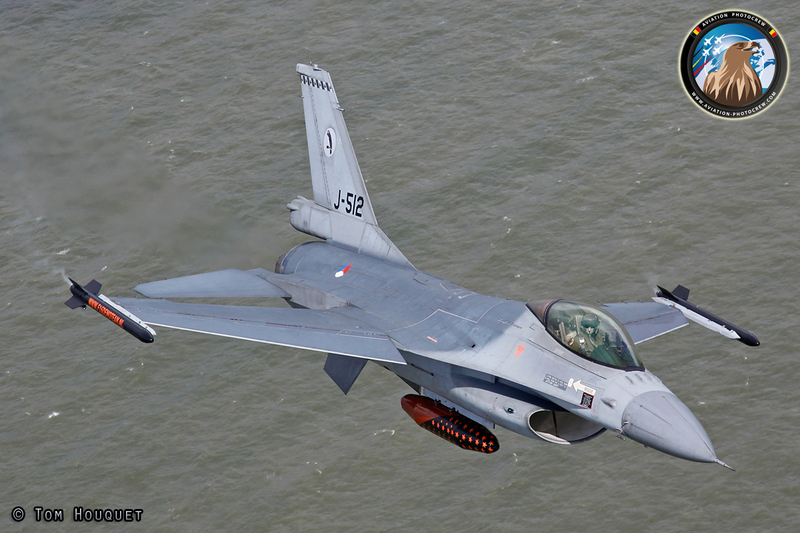 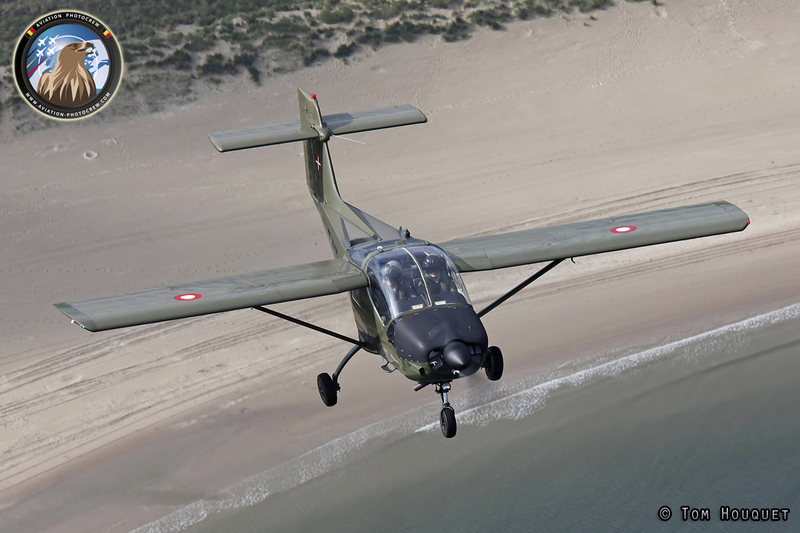 As a very regular guest to the Koksijde airshow they could not be missed to photograph them from the sky. On their way back home they joined us over the beautiful region of Zeeland in the Netherlands. 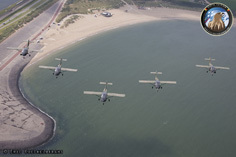 Normally flying a four ship formation, they included the spare aircraft in a nice five ship formation along the Dutch coastline. The Royal Netherlands Air Force was well present at the Koksijde airshow with both historical and modern aircraft participating the flying display. 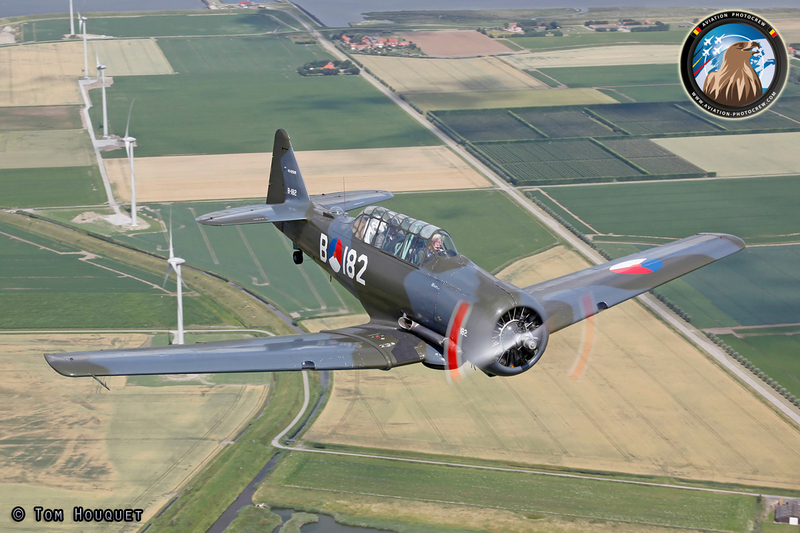 The day after the show we were able to do a very nice photoflight with the RNLAF Historical Flight Noorduyn AT-16 Harvard. 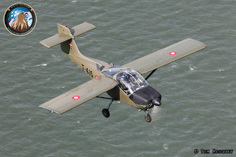 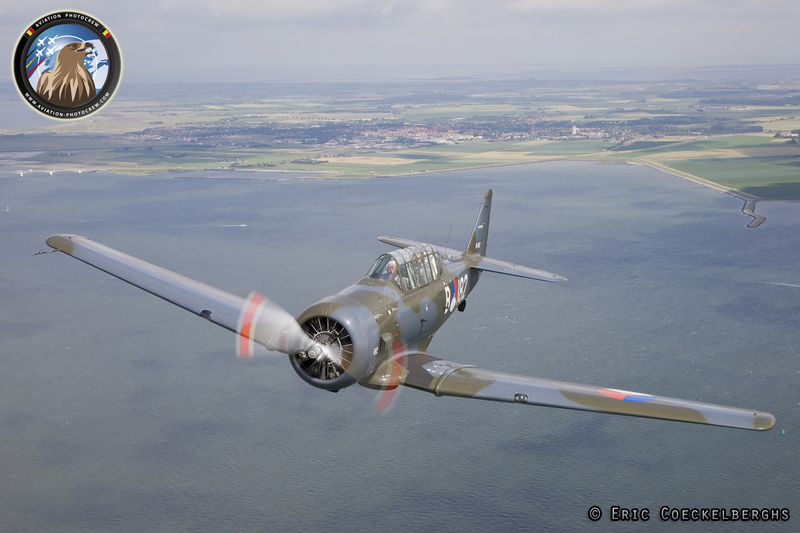 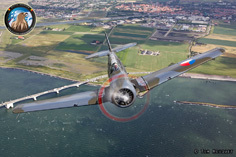 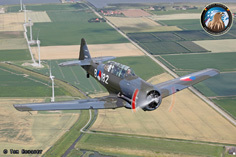 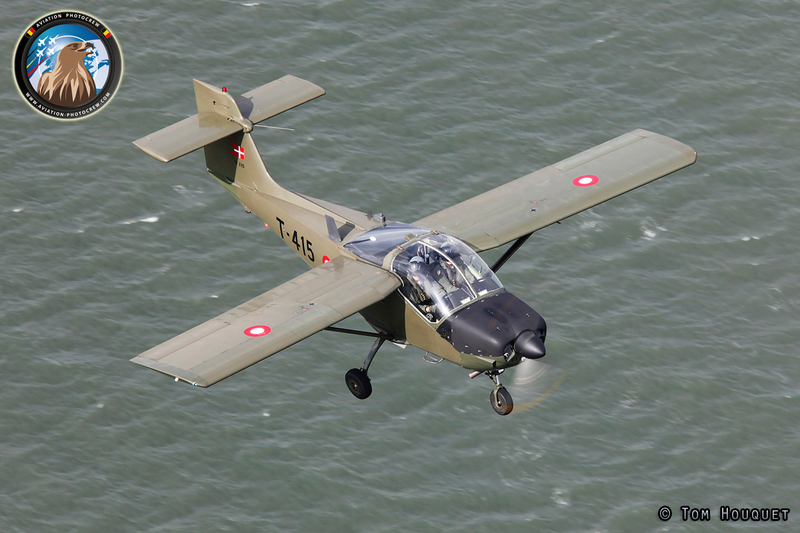 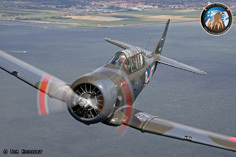 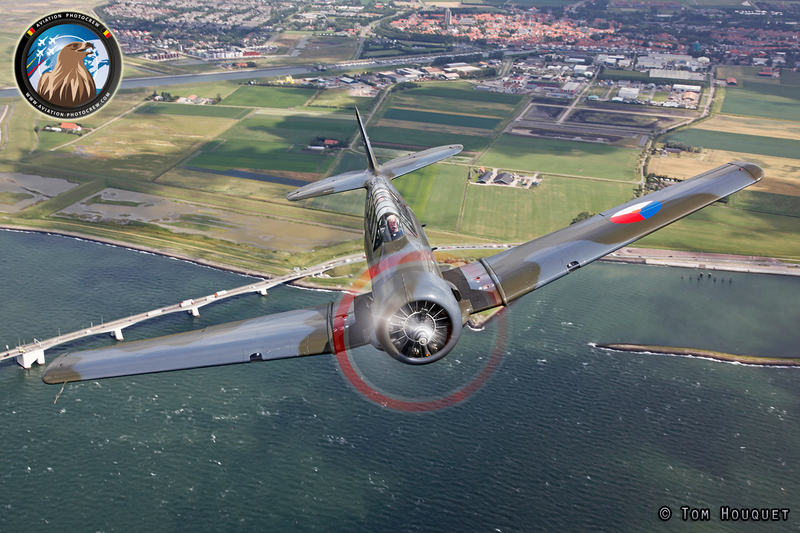 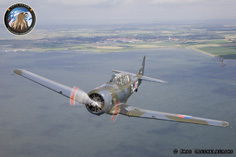 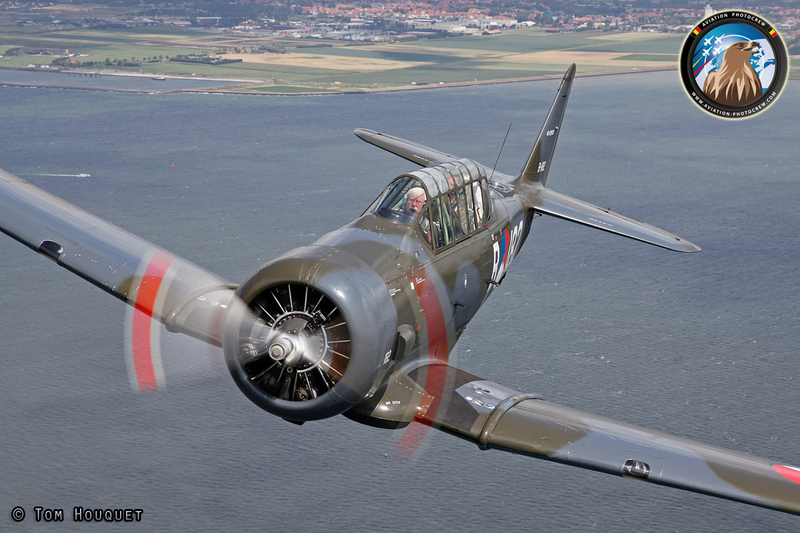 What a great sight and sound it was to see the aircraft flying over the idyllic Zeeland region. The Red and White propeller tips were ideal to exercise our full-props skills at low shutter speeds. 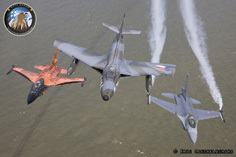 The 2011 F-16 Solo Display Team with display pilot Capt. 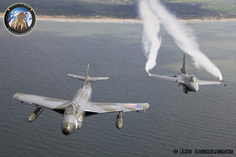 Tobias "Hitec" Schutte of 322 Sqn share the same homebase with the Dutch Hawker Hunter Foundation. 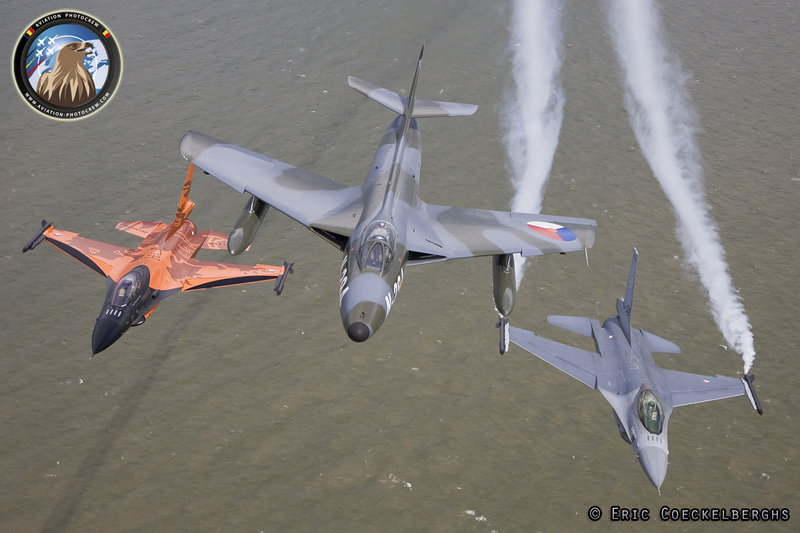 The return flight to their homebase Leeuwarden was the ideal occasion for a very special formation of the two demo F-16’s and the Hunter. Two generations of Jets were nicely flown along the Dutch coastline and we were lucky to even have some moments smoke trails. 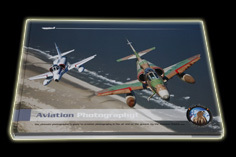 Hereby we would like to thank everyone who has made these unique photoshoots possible. Only by the great cooperation and the professionalism we were able to have such good photoresults.